Klotho is a gene that has been implicated in the control of aging in mammals. It belongs to a small family of related genes, one of which, KLPH (or Lctl), turns out to have strongly preferred expression in the eye lens. 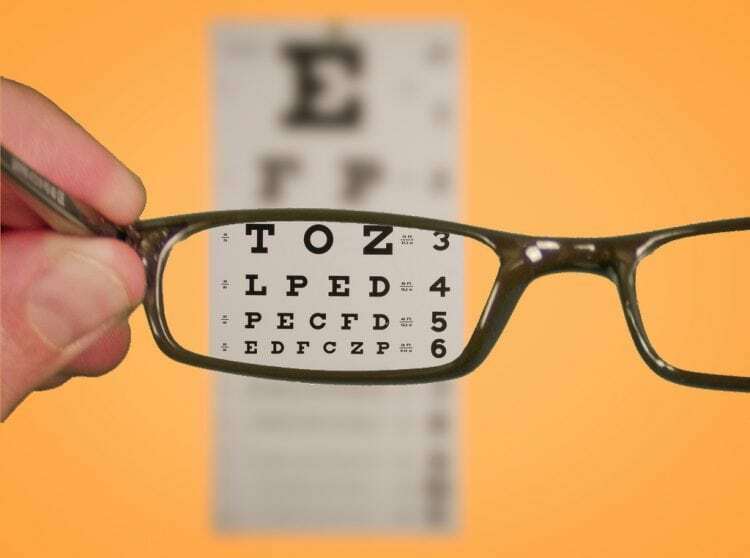 Age-related problems in the lens, such as cataracts and the gradual loss of accommodation and increased focusing defects, are major contributors to vision loss worldwide. Indeed, deletion of the KLPH gene in mice led to age-related focus problems. However, this is not a simple age issue, it reflects the accumulation of defects in the organization of lens cells from early stages. The lens is built from layers of highly elongated fiber cells. These extend from the equator of the lens all the way round to the poles where they meet up in well-organized sutures. Evidence suggests that this is controlled through the mechanisms of planar cell polarity (PCP) an important process involved in the organization of all epithelial cells and the normal formation and function of the cell cilium. Deletion of KLPH disrupts this neat organization, producing loose and abnormal sutures, reducing both transparency and focusing power. KLPH is localized to the anterior epithelial layer of the lens. How does it affect fiber cell organization? RNA sequencing of the lens shows that deletion of KLPH leads to the almost complete loss of expression of another gene, Clic5. Clic5 is expressed in many tissues. In the ear, it is essential for the normal function of the sensory cells and mutation leads to deafness. In the lens, it is associated with the cilium/centrosome complex which plays a key role in cytoskeleton organization and intracellular trafficking in most cells. Loss of Clic5 is associated with loss of the fine control of fiber cell extension needed to form a transparent, functional lens. Since all other tissues in the KLPH deficient mice are normal, this suggests, surprisingly, that KLPH is part of a lens-specific mechanism for control of Clic5, presumably tailored for the exquisite organization of lens fiber cells. This very specific role for KLPH raises the possibility that other, more widely expressed, members of the klotho family may also exert some of their functions through control of the cilium/centrosome complex. It also adds to evidence that the Clic family, originally thought to be intracellular chloride channel proteins, may function as key components of the cilium and in the control of cellular architecture in many cells. However, it is also possible that KLPH is another example of gene recruitment or the evolutionary co-option of existing proteins for new functions in the lens. During the evolution of the vertebrate lens, existing proteins were recruited to play new structural roles in the lens. These include the crystallins, recruited from heat-shock proteins, enzymes and other families and lengsin, a lens-specific protein essential for normal maturation of lens fiber cells, which belongs to an ancient branch of the glutamine synthetase family but now plays a structural, not enzymatic, role in the lens. Whatever its wider significance, the role of KLPH in fine-tuning the optical properties of the lens suggests it may be involved in some of the more subtle defects in focus and clarity that affect so many human patients. These findings are described in the article entitled The klotho-related protein KLPH (lctl) has preferred expression in lens and is essential for expression of clic5 and normal lens suture formation, recently published in the journal Experimental Eye Research. This work was conducted by Jianguo Fan, Joshua Lerner, M. Keith Wyatt, Phillip Cai, Katherine Peterson, Lijin Dong, and Graeme Wistow from the National Eye Institute, part of the National Institutes of Health. Fan, J., Lerner, J., Wyatt, K.K., Cai, P, Peterson, K., Dong, L. and Wistow, G. (2018) The Klotho-related protein Klph (Lctl) has preferred expression in lens and is essential for expression of Clic5 and normal lens suture formation. Exp. Eye Res. 169:111-121. Dr. Wistow received his BA in Biochemistry from Oxford University, UK in 1976 and his Ph.D. in Protein X-ray crystallography from the University of London, UK in 1982. His thesis work described the first three-dimensional structure of a γ-crystallin. He joined NEI in 1982 and became a Section Chief in 1989. Dr. Wistow received NEI Director’s Awards in 1991 and 2000, an NEI Appreciation award in 2005 and an NIH Director’s Award in 2001. In 1997 he received the Cogan Award of the Association for Research in Vision and Ophthalmology "In recognition of outstanding and promising research on the structure and function of the lens". Previous Post« Previous What Effects Do Antioxidants Have On Tumors?